Artificial intelligence, (when computers act like humans)—is no longer a conventional science fiction. Machines are getting smarter every day, and companies across the world are discovering ways on how they can leverage (AI) to significantly enhance consumer engagement and experience. Research carried out by Gartner indicates that “in a few years from now, 89% of businesses will compete mostly on customer experience”. In 5 years, consumers will manage 85% of their relationships with a company without interacting with a human being. This shows that we’re gradually moving to the (DIY) customer service concept. Now, if customer user experience is the new marketplace combat zone, then customer service is your combatant defense. Current trends have shown that when it comes to satisfying customers, businesses are no longer fighting the conventional battle; but digital. Interestingly, about 38% of businesses have introduced the use of artificial intelligence (AI) in their customer service department, and the number will increase by 62% by 2018. More so, AI will lead to 10% increase in quality of communications with customers. This is not just a passing trend of the day. The fact is that (artificial intelligence) AI customer experience is the future. Imagine when you have a problem with a particular company's product, and you call their support center. While you may be looking forward to interacting with a human, you might be directed to talk with the computer first as an initial step to solving your problem. However, this is not the traditional “virtual response system” we’re already used to—where the computer repeats anything you say or even frustrates you by demanding that you repeat the question (sometimes multiple times). A core feature of AI is that the machine will understand different accents and dialects, among many others. It will also not continuously reiterate information back to you. But it will interact with you as a live person would talk to you—it will ask numerous questions to understand the problem you're having. More importantly, it will give you helpful answers and suggestions. The exciting part is that it will do all these promptly and accurately. Now, if you’re not totally amazed by all these, I wonder then what would amaze you. That being said, I want to share with you how businesses can use Artificial Intelligence to serve their customers better. Quite often, your team spends hours composing and scheduling weekly emails to multiple segments of customers. The problem is even with the right email segments, you can’t deliver a personalized email to every single customer on your list. 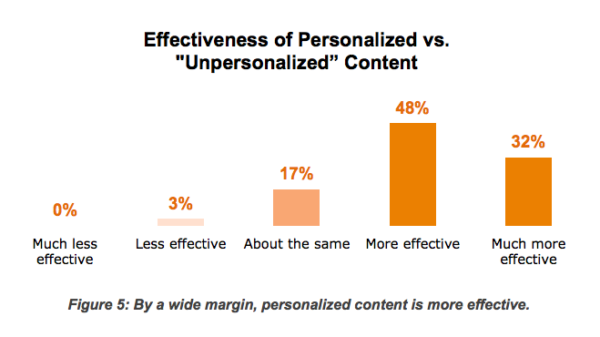 According to a study by Demand Metric in 2016, “80% of marketers say “personalized” content is more effective than “un-personalized” content. 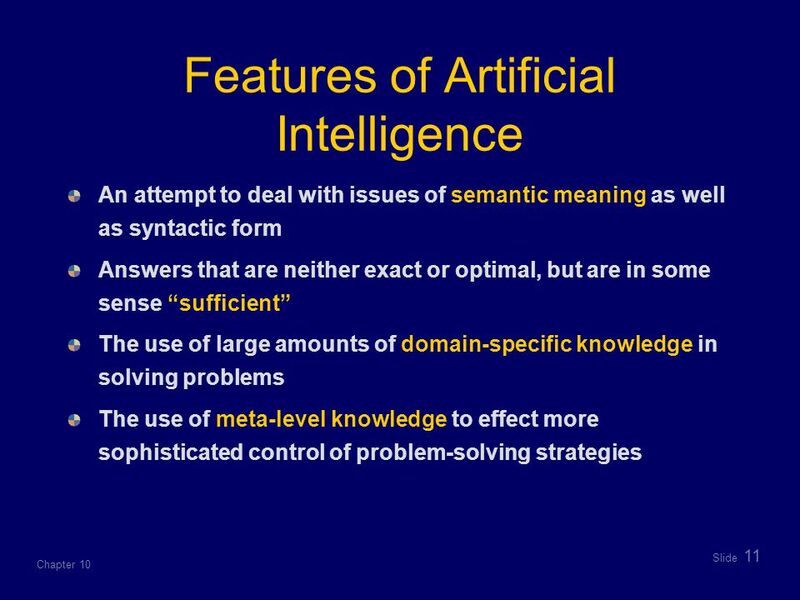 That is where artificial intelligence comes in. Algorithms can record a subscriber’s email browsing data and website experience to fully understand how the individual interacts with your content. This knowledge helps the algorithm to detect hyper-contextual content to create one-on-one personalized emails. Artificial intelligence (AI) makes it very possible to send curated, personalized emails to every customer. By analyzing a customer’s topics of interest and reading patterns to recommend specific content most relevant to that individual, AI-assisted emails could become even more engaging for every single subscriber. However, not all AI-backed programs are capable of learning from user's feedback. As you evaluate AI systems, ensure you see if that learning feature is included. i). Personalization: Personalization is what your customers want whenever they visit your website or online store. In the past, human customer representatives try their best to ensure the customer is catered for, but it was difficult. With the help of AI, brands will be able to create a more personalized experience for their customers. Customers can place their order through fingerprint or face recognition to access their devices or to place an order, AI helps businesses to build more interactive, personalized customer experience. ii). Fix problems before they occur: Chatbots can resolve problems for customers before they realize they exist. Bots are designed to stay one step ahead and to proactively create a seamless experience for the user—while addressing every hiccup on the path of sales. iii). Streamline the sales path: Whenever customers are ready to make a purchase, it’s important to make the buying process fun and rewarding. Live chat representatives can over-complicate things, but a Chatbot designed with improved AI can streamline the entire process, and improve customer experience. The perfect way to use AI is to serve your customers before they ask for it. If you can give your customers a personalized experience via the use of machine learning and predictive analytics, it will significantly improve your brand image and enhance customer experience. If you’ve chatted online recently with a customer service representative, your correspondent named Margaret or Gina might have kept a little secret from you. Yah that's true. If you're new to Chatbot or just want to implement it, check our awesome and full whitepaper on how Chatbot helps to create a successful customer service strategy for improving customer service & increasing customer engagement. You might have been chatting with a bot all these while. From health to insurance to fashion, smart Chatbots provide magical customer support. And in most cases, they’re even better at crafting personalized content than human beings. Interestingly, Chatbots have access to lots of customer-centered data points—they can also combine location-specific requests to easily detect repetitive problems, identify patterns, and predict what’s causing problems for a certain user. Most times, this makes them more intelligent and knowledgeable than human customer service representatives. Using acquire salesbot, you can easily generate leads. We have increase engagement and leads by 3X after implementing this salesbot. But acquire Chatbots are not limited to direct customer service communications. It can engage the customer. These examples by Acquire show that AI-powered Chatbots can offer advice and tips in the research phase, providing an avenue for a new form of content marketing. Download this whitepaper to get more information. AI-powered Chatbots are common these days. However, you can utilize the opportunity to enhance your customer chat with personalized content marketing. You need to devise means to employ AI agents as proactive advisers for all your online visitors, not just for direct customer service communications. AI Chatbots are wonderful tools for increasing productivity and efficiency. It helps to streamline the work process and thus this leads to more conversion rate and better customer service. Where it would take human beings a great amount of time to combine all the numbers and match them to behavioral patterns of customers’, Artificial Intelligence can provide marketing insights within a blink of an eye. For example, Dynamic Yield aids companies like Sephora, Urban Outfitters, and Under Armour to build actionable customer segments with the use of an advanced machine learning engine. Clearly, detect which customer segments should be added and removed from campaigns. Properly match customers to the products they're more likely to use. Avoid certain stocks from being promoted to buyers who unavoidably return items. Artificial Intelligence can enable you to display the most relevant content, or products judging how the user previously interacted with your company from the website via the shipping department. With the advancements in technology, AI is becoming more productive and cheaper. It does not sleep, take breaks or get sick. It can work round the clock in a much faster way than human workers. In fact, we not only need time to sleep but also need to take off from the office for some reasons. AI can easily learn new skills and it doesn’t make any mistakes. Machines can continuously work with the same efficiency & this result in more productivity. Various industries have already started implementing AI because of its advantages. AI & machine learning has offered positive outcomes in various areas, take lesser time and can work round the clock. As I mentioned earlier, artificial intelligence (AI) has affected every aspect of the business (e.g., prospecting, marketing, sales)—especially in the area of customer service. 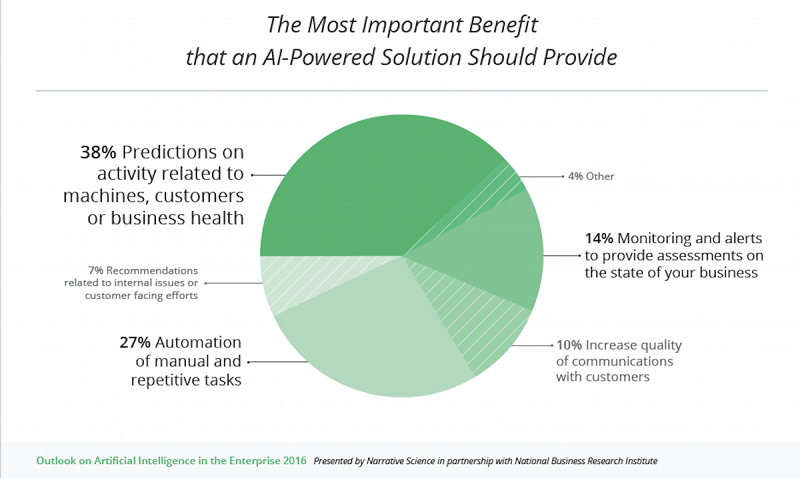 If you want to stay ahead of the competition, you must begin now to develop plans on how you can leverage AI to significantly improve your own customer service operation.